Since 1992, we have provided safe, affordable solutions for people with mobility and wheelchair access needs. An experienced RampArts representative will work with you to identify the ramp strategy that best suits your needs and budget. We will deliver and install your ramp, with safety as our primary concern. For every person with an accessibility challenge, there is a unique ramp solution. 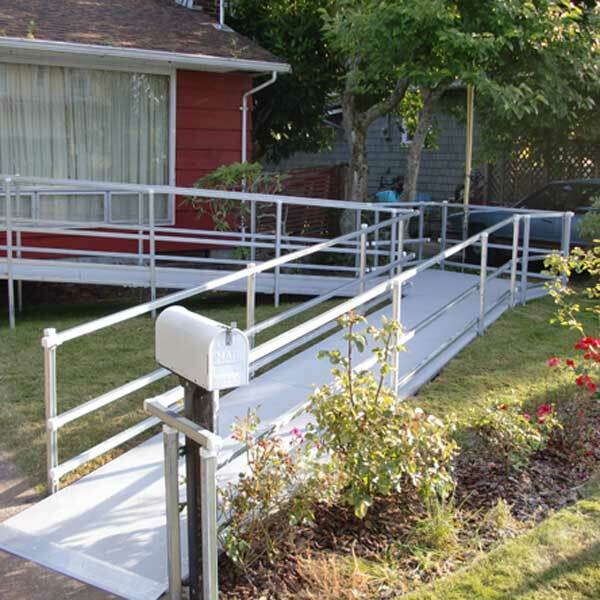 You may have a particularly challenging site, or a simple need for a short-term portable ramp. Perhaps you want to protect the value of your home or property, or you may need to keep your landlord happy. RampArts will create a solution that works for your situation. 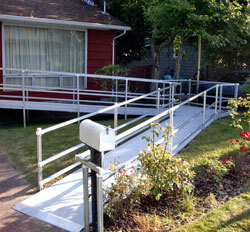 We offer portable wheelchair ramps as well as temporary ramps and permanent ramps. Depending on your needs, you can choose from different materials and finishes, and you can choose to rent or purchase your ramp. If you are interested in details, take a look at our many RampArts products to see how we can help. For photos and stories of recent projects, please visit our What's New? section. Don't know what you need? Just give us a call and we'll help you.